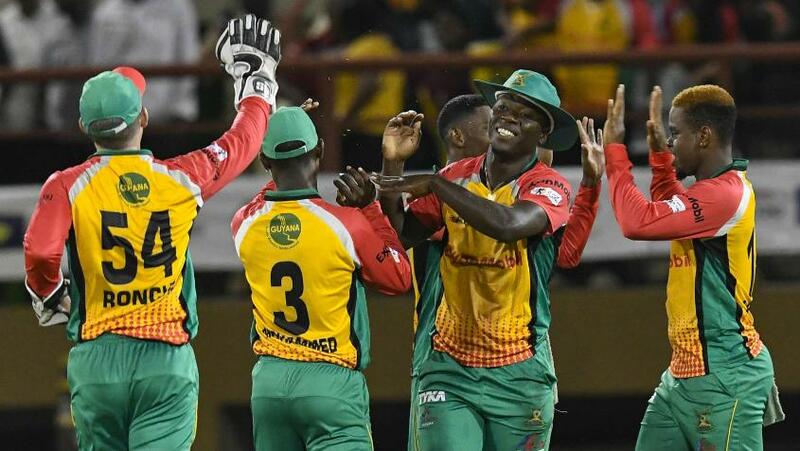 Shimron Hetmyer’s rapid half-century backed up the good work of the bowlers as Guyana Amazon Warriors beat St Kitts & Nevis Patriots in their opening game. 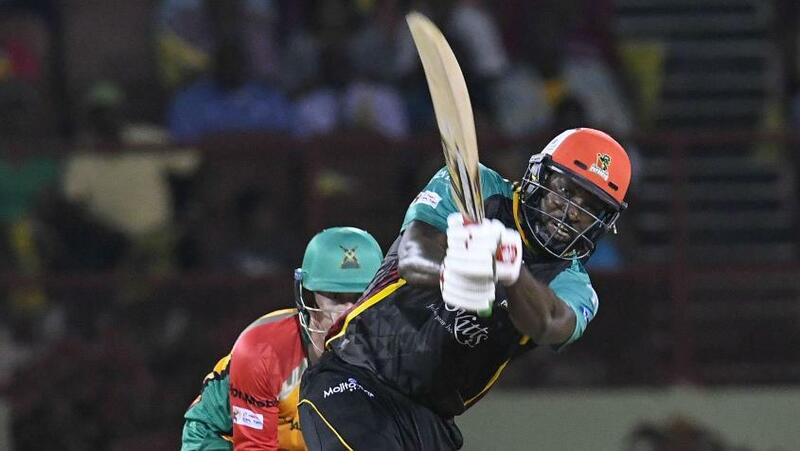 Trinbago Knight Riders, the defending champions, set the ball rolling in the Caribbean Premier League 2018 with a 100-run win over St Lucia Stars in the first game, and Guyana joined them at the top of the table by beating the Patriots by six wickets in the second match on Thursday, 9 August. Asked to bat first, the Patriots scored 146/5, Chris Gayle scoring more than half those runs with 86 in 65 balls. But Guyana had their own big-hitter in charge, Shimron Hetmyer smashing an unbeaten 79 to take them to 148/4 with 21 balls to spare. The dew was the big factor in the second innings, with the spinners finding it difficult to grip the ball and the nature of the pitch changing slightly. "The dew just worked for me with the pace some of the guys bowled at and it helped the pitch as well for batting," said local boy Hetmyer after the match. The Guyana chase didn’t start too well, with Sheldon Cottrell (2/21) and Sandeep Lamichhane (2/12) taking out Luke Ronchi and Chadwick Walton respectively. Though Shoaib Malik, the captain, and Jason Mohammed didn’t score too many either, Hetmyer had the chase under control. Chris Green, the Australian all-rounder, gave him good support with an unbeaten 25 off 23 balls, and Hetmyer blazed away. His run against Bangladesh – 86 and 18 in the second Test and 52, 125 and 30 in the ODIs – continued as he hit nine fours and four sixes to take Guyana home with lots to spare. "It wasn't that hard in the middle but I kept losing a few partners," the youngster said. "When Green came out, I told him to stick around and take it from there even if we needed a few big shots towards the end." Earlier, it was Gayle calling the shots. Having been in decent touch in the lead-up to the CPL, scoring 40, 29 and 73 in the one-day international series against Bangladesh at home in July, he carried forward that form, starting the Patriots innings with a glance for four off Sohail Tanvir. But the innings slowed down after that. Evin Lewis was dismissed cheaply, and though Gayle found the boundary a couple more times, the Patriots only got to 32/1 after the Powerplay. Gayle batted till the penultimate over before falling to Imran Tahir, but the next highest contribution was 15, hit by the Australia duo of Tom Cooper and Ben Cutting. Keemo Paul was the standout Guyana bowler, returning 2/16. "I have the advantage of having played ODIs here to know how the pitch would behave," said Gayle, acknowledging that conditions were tricky. "They didn't give me a lot of free deliveries as well to get away. The target was to get 150-160 first and then take it from there. "In the bowling, despite getting two early wickets, we gave away too many easy scoring opportunities. And then the dew came in and made it difficult, which we always knew would [happen] in Guyana. "[But] this is the first game for us and I can't fault the boys for the effort. Some of the guys are playing for the first time and, like I said, our CPL starts only in the second game."